CMS (Content Management Systems) are web-based applications for creating and managing the content of a website. The definition generally includes all such systems in this category, also systems that are often classified as wikis, blog engines or discussion boards. 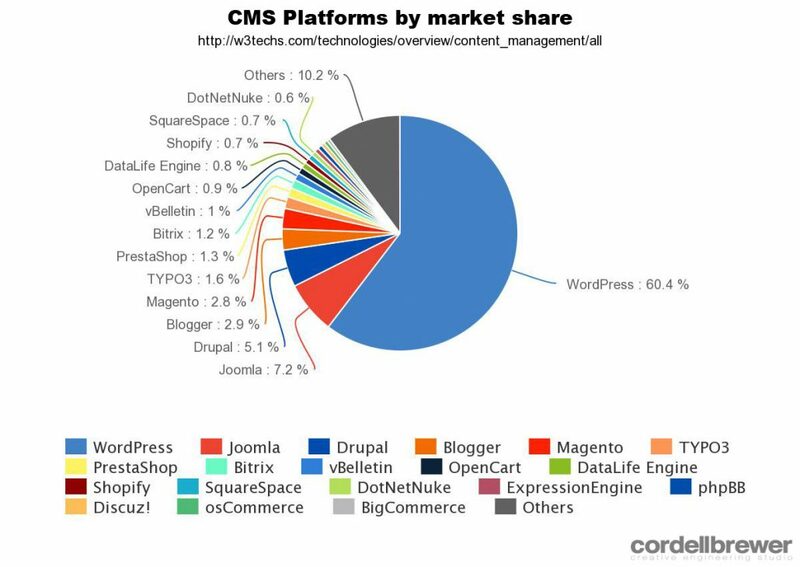 Wordpress has a 60.5% market share compared to other CMS platforms making it the clear leader by a long way. 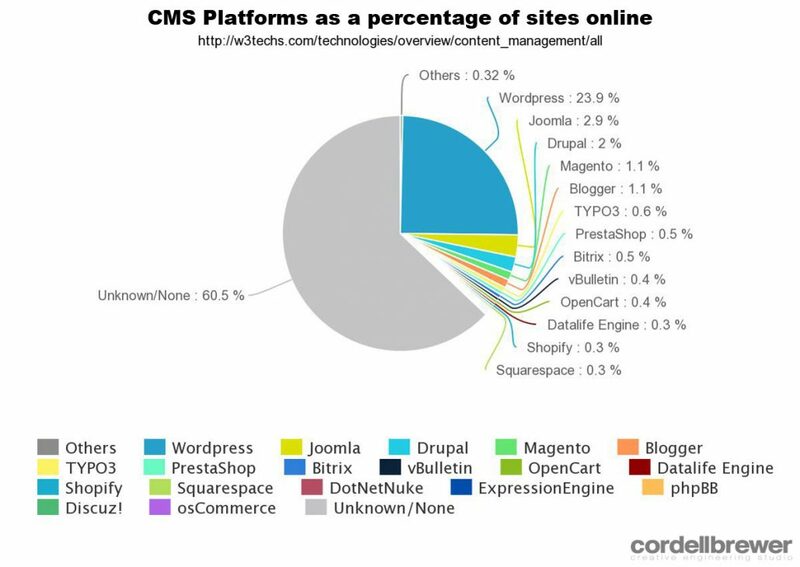 It also means that 23.9% of the worlds websites are powered by WordPress.